2016 was a very good year for the Norfolk hotel market. According to Smith Travel Research (STR), hotel occupancies increased almost 3 percent over 2015, and RevPAR was up 6.2 percent, resulting in a hotel revenue increase of $91.7 million, up four percent over prior year. There are several new developments that will come on line in spring 2017 that should have significant impact on the hotel market this year and beyond. The 300-room Hilton hotel and 42,000-square-foot conference center is scheduled to open in April. The Waterside District, developed by the Cordish Companies, is slated to come on line about the same time. Both projects will add to the vibrancy of downtown. And we will celebrate the 100th anniversary of Naval Station Norfolk with various events throughout the year. Other enhancements that will have a positive impact on tourism are the revitalization of the Elizabeth Trail, the Nauticus Sailing School and a multimillion dollar beach replenishment in the Ocean View section of the city that will widen the beach to 60 feet in most areas. On the marketing front we are continuing our transition in advertising from print to digital and social media, including expanding our online presence via the VisitNorfolk website. Our website visitors have grown to almost half a million. Our overall marketing efforts resulted in Norfolk being named one of the top 50 places to visit in 2017 by a leading travel magazine, and we will continue to focus on those experiences unique to our city that provide visitors with a taste of Norfolk. What are your largest challenges and obstacles? Our largest challenges are air lift, traffic congestion and lack of resources to broadcast all that is happening here to a larger audience. What does tourism mean to the City of Norfolk? How does it affect local taxes, and how does it affect our quality of life? How does it help drive our local economy, jobs and the quality of our schools and education system? Tourism is often mentioned as one of the three pillars of our city/regional economy. Tourism spent $764 million in Norfolk in 2015, according to the most recent data available from Virginia Tourism Corporation. Payroll for those directly employed in the tourism industry was $198,000. The vibrant tourism industry our city enjoys helps support the multitude of restaurants, hotels, craft breweries and other amenities our local citizens can enjoy. 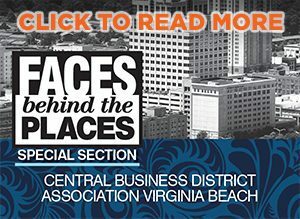 The Coastal Virginia Tourism Alliance was formed back in 2005 to enhance collaboration among the 10 CVBs in the region. Our group also included both airports and the Eastern Shore. We meet monthly to support cross marketing initiatives and communicate the value the travel industry has on the region. Several of the cities jointly participate in consumer and meeting and convention tradeshows and/or industry activities to promote our region. See more about the new Hilton The Main Hotel and how it’s transforming Norfolk’s economy here.